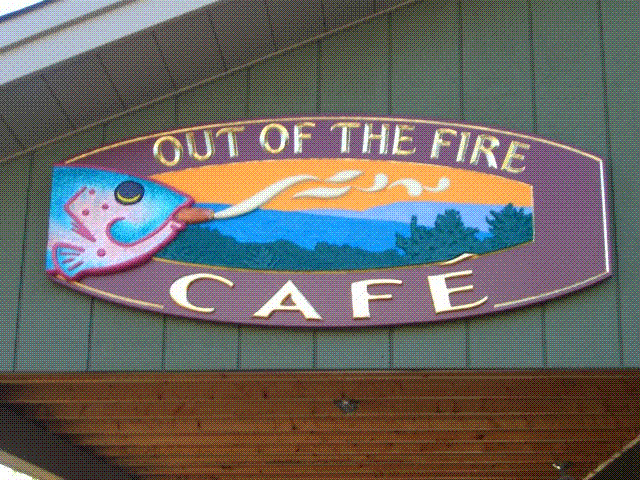 This café specializes in gourmet eats in a casual atmosphere with a beautiful view of the Laurel Highlands. In 1974, before Omega-3 fatty acid was a household term, before smoking food was a take-home technique and before smoked salmon was regularly seen outside the Pacific Northwest, Jeff Fryer had his first taste of the flavorful pink flesh that locals in Vancouver called “candy” At 24, he was a convert, and he would continue to search for that rich, bold flavor for years to come. Growing up on the lakes of Wisconsin and learning to fly fish in the American Rockies, Jeff had always taken pleasure in casting a line. At the same time, he was finding he had a knack in the kitchen. Fishing for salmon in Washington State and the Great Lakes Region was always a favorite hobby, and soon Jeff was blending his two passions. After years of tinkering in the kitchen and surprising friends with unique gourmet fare, he finally began to pursue cooking full time in 2003. “I’m easily my biggest critic,” says the fisher-chef. “I’m looking for a very specific blend of flavors.” Indeed, the curing process alone has taken years to perfect. Jeff prides himself on composing bites that excite every taste bud. “An explosion of flavor means you’ve got a wide range-sweet, salty, tart, and back to sweet again.” At last the “candy” that hooked the 24 year old kid is making its way across the country, one excited mouth at a time. We eat here all the time and encourage you to visit and try their extensive menu. Closed Monday and Tuesday, OPEN Wednesday and Thursday 12 to 8, Friday and Saturday 12 to 9, Sunday 11 to 8. BYOB.